Land of Oz. Down under. The sunburnt country. Whatever you want to call it, Australia is a fantastically beautiful place to get married. Be it at a beach ceremony or a vineyard shindig, you can be sure that you’ll be surrounded by stunning scenery and that inimitable Aussie charm. 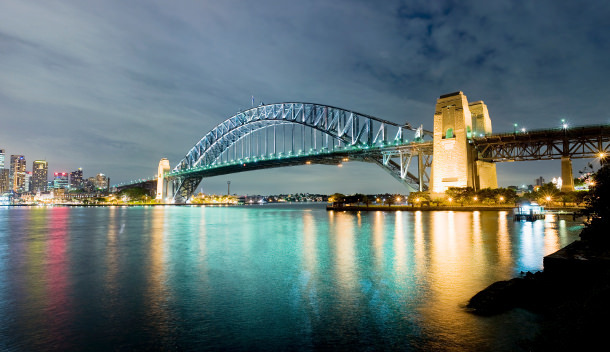 A popular place for city goers to tie the knot is by the iconic Sydney Harbour Bridge, while country bumpkins prefer the sprawling greenery of Norfolk Island. Melbourne is famous for its thriving bar and restaurant scene, as well as the nearby Yarra Valley, which is ideal for a vineyard wedding. Head up to Carins for that surfer lifestyle, the Great Barrier Reef and a beach wedding with a fantastic sunset view. The bottom line is, the varied landscape of this sunny escape makes for an ideal destination wedding. Australia is a vast country, covering 7,692,024 km² and comprising three major biomes: tropical, savannah and desert. They are all vastly different – from thick forrest filled with ample wildlife, to dry desert as far as the eye can see. Victoria and some of South Australia get quite cold and windy in the winter, sometimes even hailing. Most people prefer to wed in Oz in the summer months, in particular if the wedding is held anywhere south of Queensland. The laid back nature of Australian folks is a massive draw for many, allowing the ceremony to be as stress free as such an occasion can be. There are numerous words that the Australians have coined, and many that they have just shortened. Arvo, for example, means afternoon, and bush telly means a campfire. Although English is the official language of Australia, the indigenous Australian Aboriginals speak 27 different languages of their own. Australia has an estimated population of 23,261,702, and of those, 563,000 are Aboriginal Australians. Australian food revolves largely around meat, and in particular barbecued meat. Modern Australian is the term coined to describe the nations cuisine, which essentially entails steaks, ribs, kangaroo and wallaby with European and international influences. The currency is Australian dollars, and while Australia is a relatively expensive country, you’ll get more reasonable prices for a wedding the further out of the major cities you go. The average cost of a wedding in Oz is just under $30,000 AUD. ATMs can be found very easily in Australia, however it is always worth carrying cash for last minute or impromptu payments. Most of the wedding costs will likely be secured by credit card in advance. The following notes are not comprehensive and are intended as a guide only. 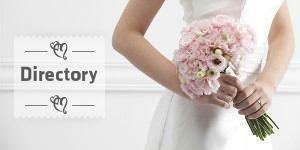 Before planning your wedding in Australia we strongly advise you to contact the Australian embassy in your home country or your country's embassy in Australia to obtain up-to-date legal requirements. Before you arrival in Australia for your wedding, you will need to obtain a visa online from the Electronic Travel Authority (ETA). You are also required to complete a Notice of Intended Marriage form and give it to your celebrant at least one month before the wedding. It is advisable to check with the Australian embassy in your home country for up-to-date legal requirements prior to planning your wedding. Australia is divided into six states and ten territories. Mainland Australia is made up of five states and three territories, with the sixth state being the island of Tasmania to the south of the mainland. There are also six other island territories and Australian Antarctic Territory. Find out more about the States and Territories of Australia or browse our Australian Wedding Directory to start planning your dream wedding.